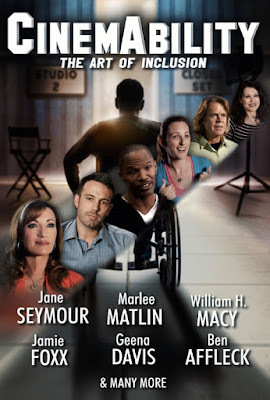 A cavalcade of stars, including superstars Ben Affleck, Jamie Foxx, Marlee Matlin, Gary Sinise, Jane Seymour, William H.Macy and Geena Davis, feature in "CinemAbility: The Art of Inclusion," releasing October 5 on digital from Leomark Studios. 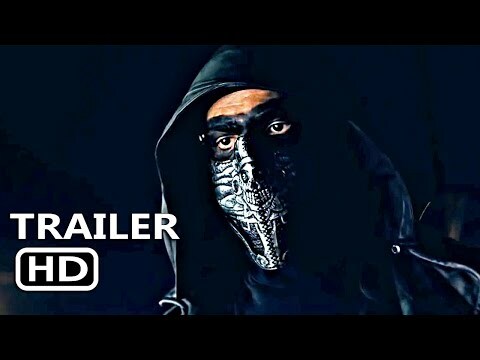 From Director Jenni Gold, the 1st wheelchair using female in the Director’s Guild, and released to coincide with October’s National Disability Employment Awareness Month, "CinemAbility" reveals a compelling and often amusing look at the history of disability portrayals in entertainment. From the early days of silent films to present-day Hollywood blockbusters, this historic film takes a detailed look at the evolution of “disability” in entertainment over the last 120 years by going behind the scenes to interview celebrities, filmmakers and studio executives. With heart and humor, "CinemAbility: The Art of Inclusion" utilizes clips from Hollywood’s most beloved motion pictures and television programs to shine a light on how the media impacts society and the monumental effect these portrayals have on inclusion. Featuring Ben Affleck, Jamie Foxx, Marlee Matlin, Gary Sinise, Jane Seymour, Adam Arkin, William H.Macy, Helen Hunt, Kyle MacLachlan, Daryl Mitchell, Beau Bridges, Richard Donner, Peter Farrelly, Randal Kleiser and more.